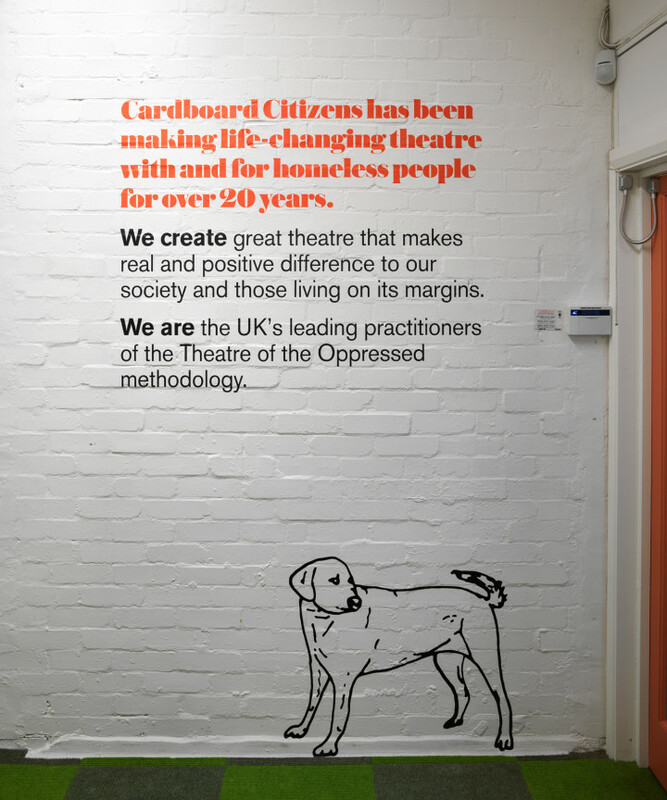 Cardboard Citizens is the UK’s only homeless people’s professional theatre company. 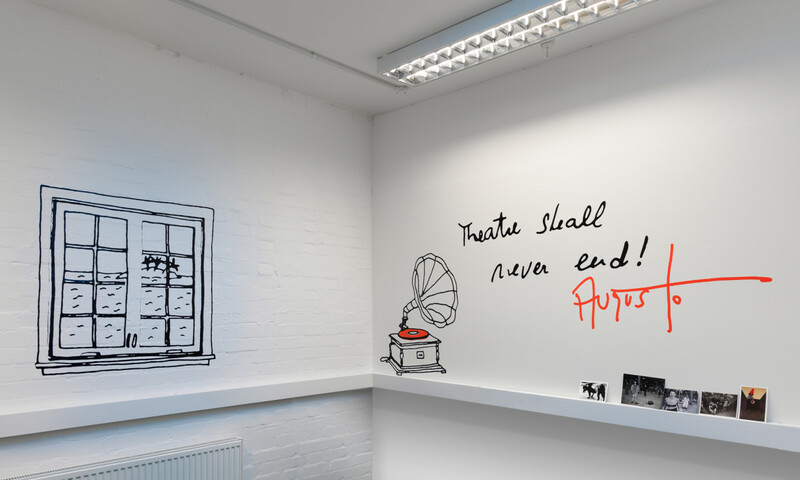 The company was previously based in a small office with no rehearsal space, but recently moved to a former gallery in East London. 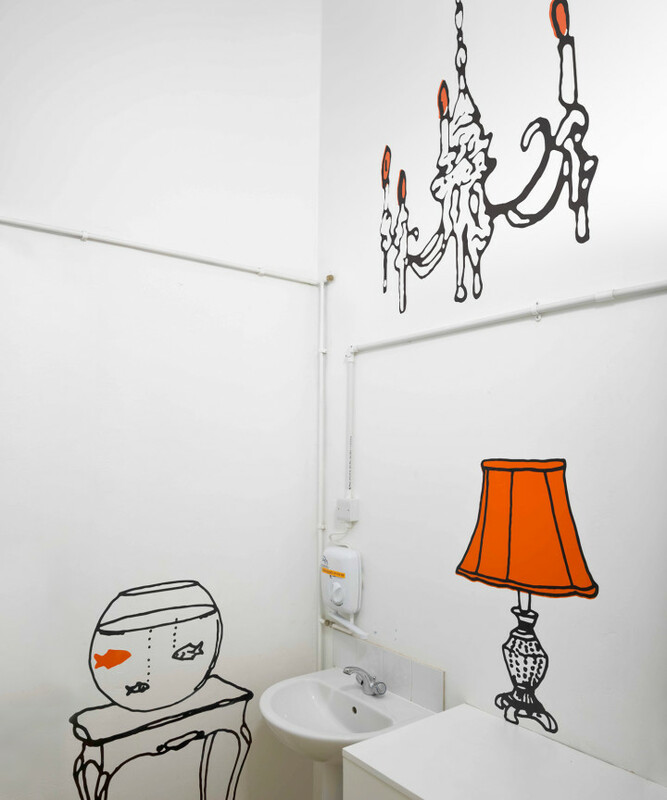 We were asked to customise the venue in a way that would reflect their unique personality. 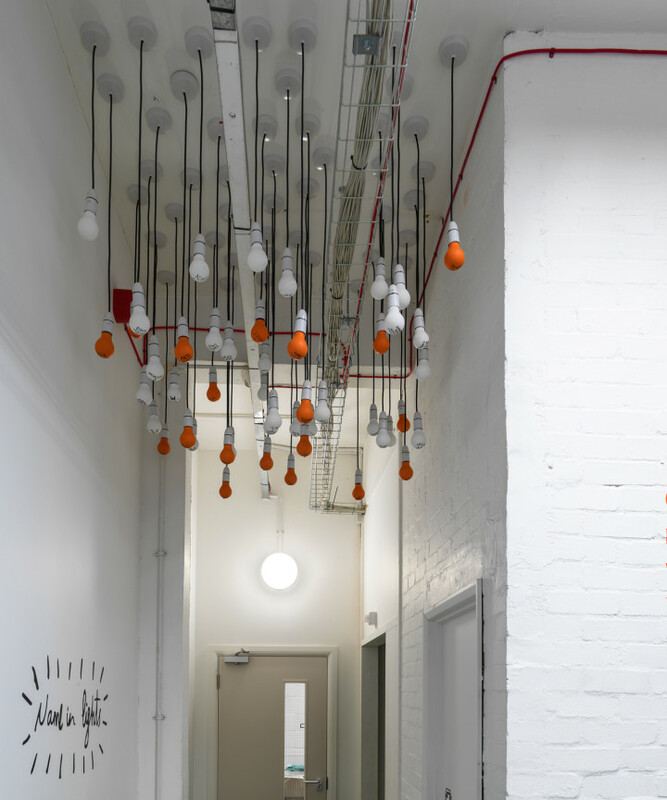 The guiding principle was to transform the new space into something that was home for the company and their members (the homeless people they work with). 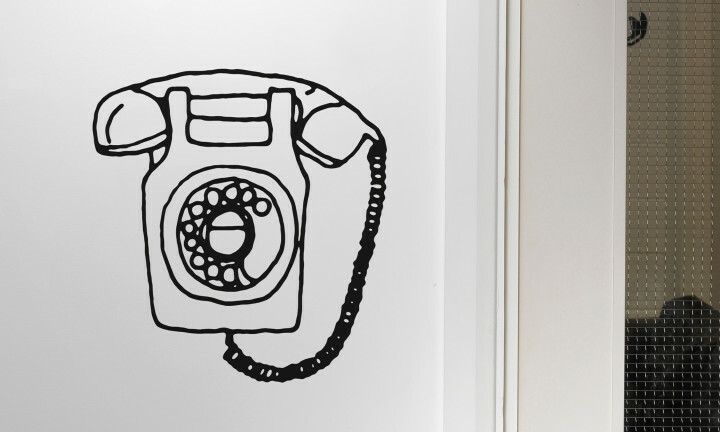 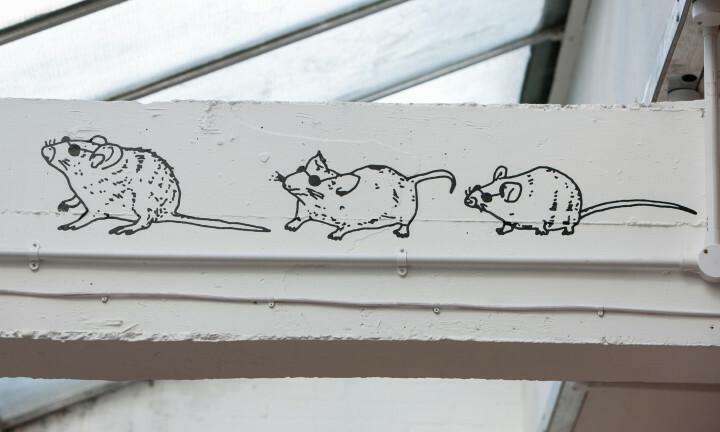 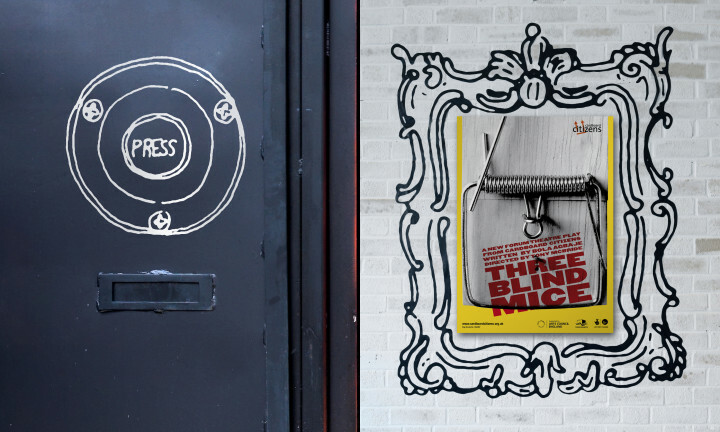 Touring the building becomes a journey of discovery, with playful, homely illustrations by Roderick Mills hinting at their work and productions. 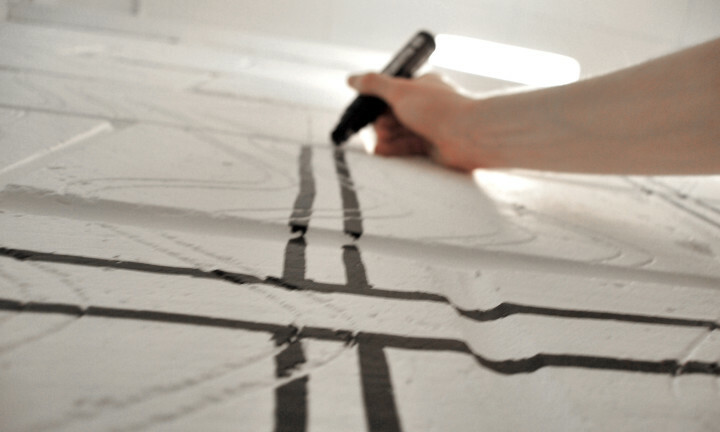 The drawings themselves were created at an intimate scale before being projected and painted on to walls, extenuating the naivety of the line work through the change in scale. 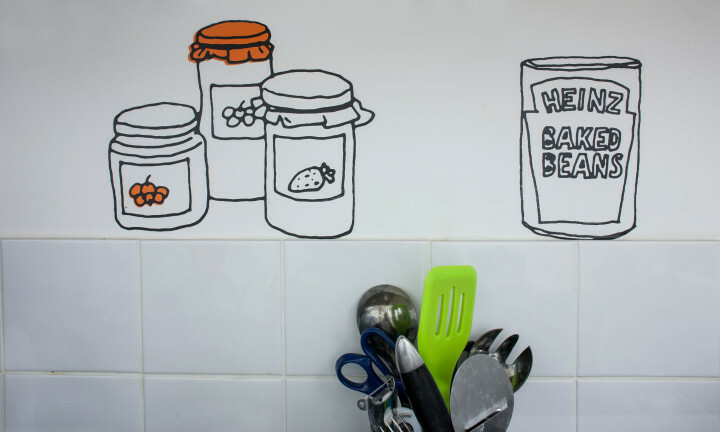 One of the ways to encourage a sense of ownership was staff and member participation with the drawings, rather than the drawings being merely decoration. 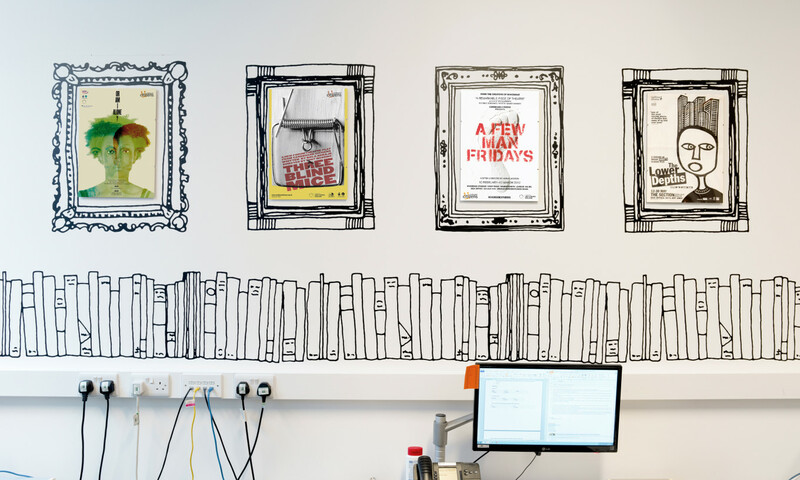 Everyone who comes to our office comments on the graphics – and it gives our members a sense of belonging. 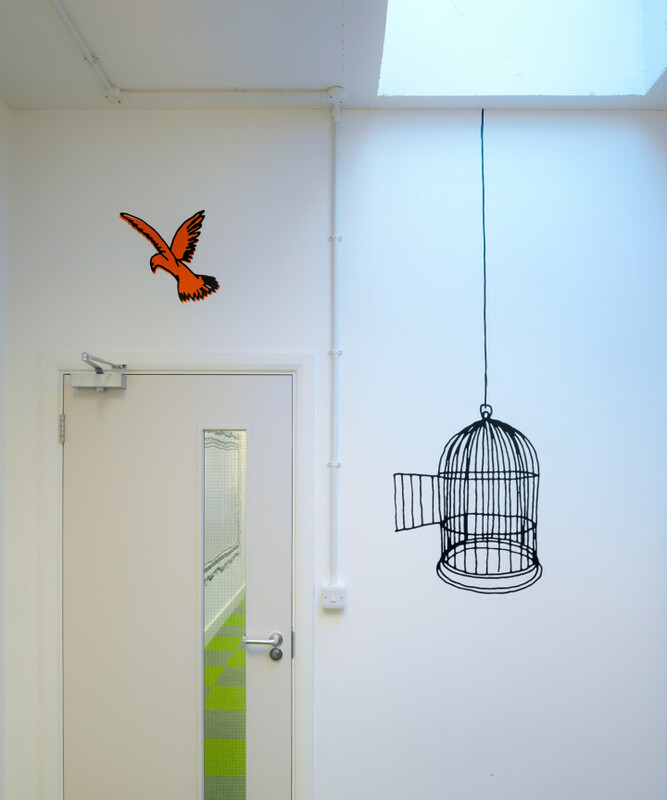 It is a project that the company is incredibly proud of – a space that reflects our mission, ethos and values. 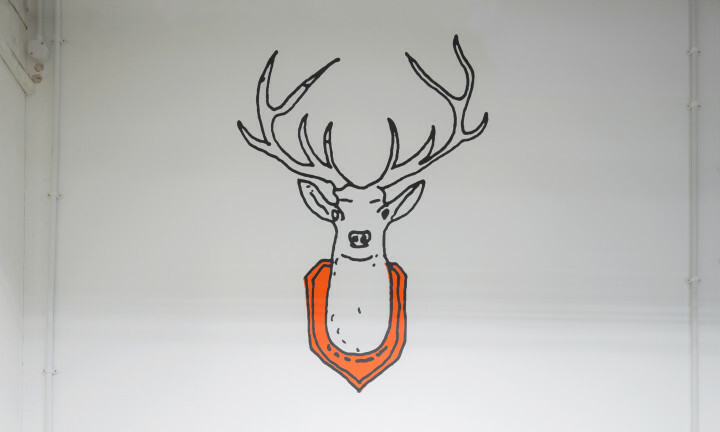 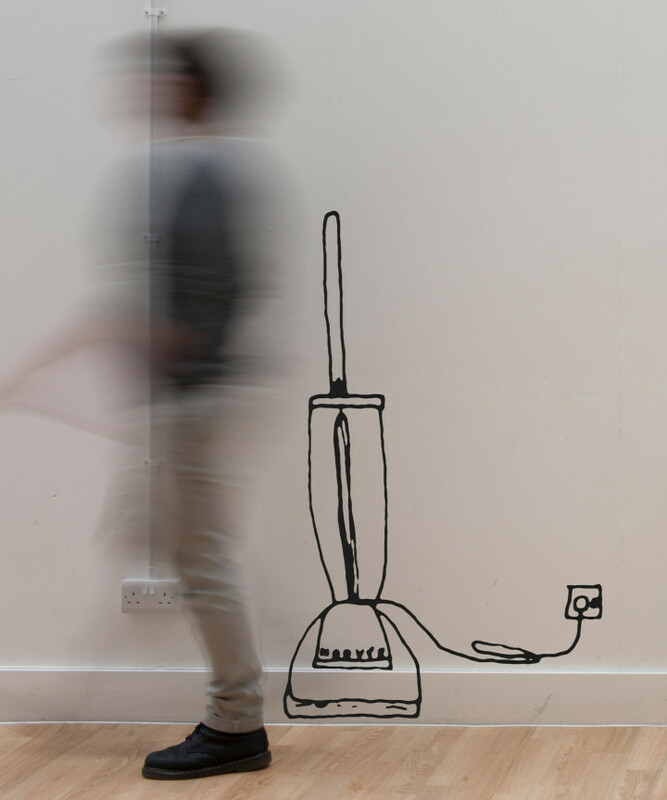 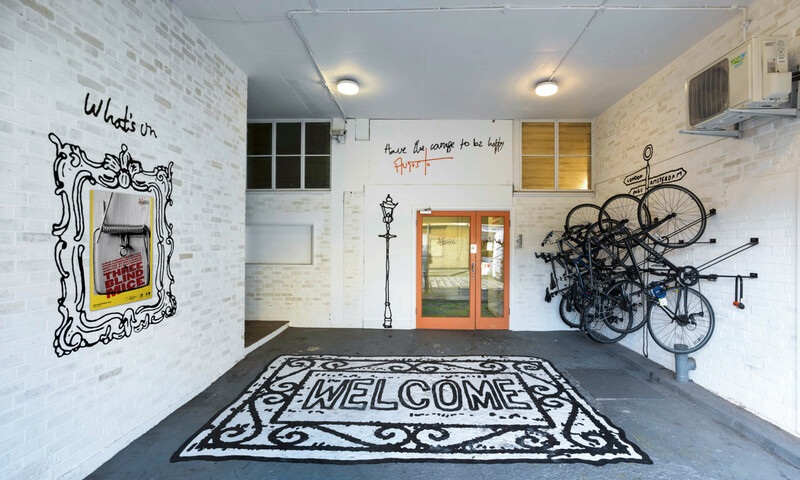 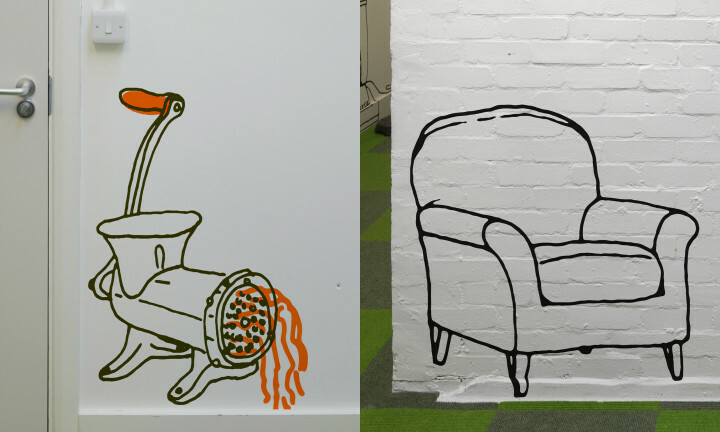 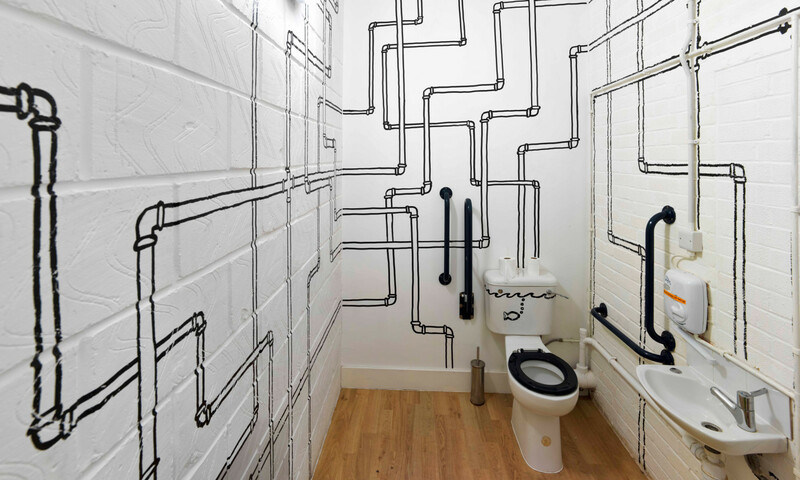 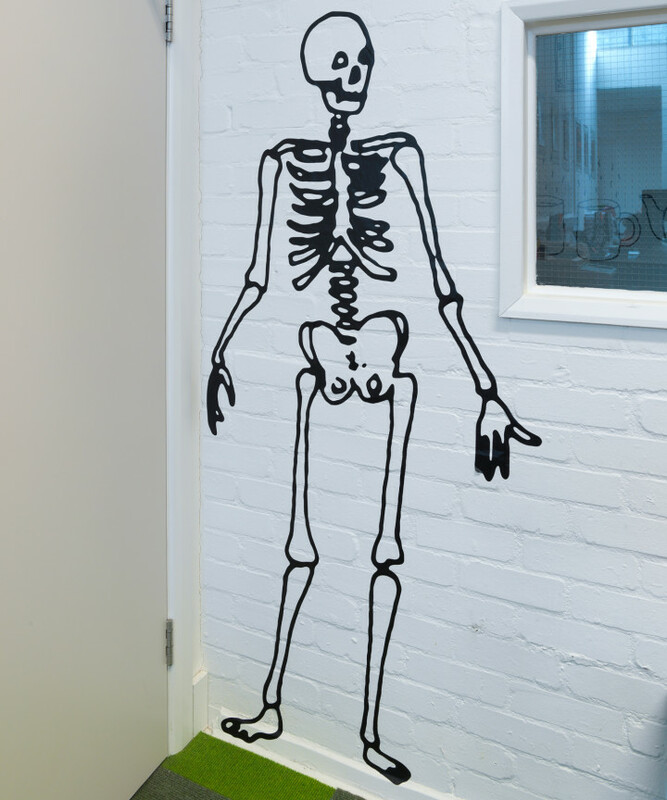 Charity office transformed by doodles. 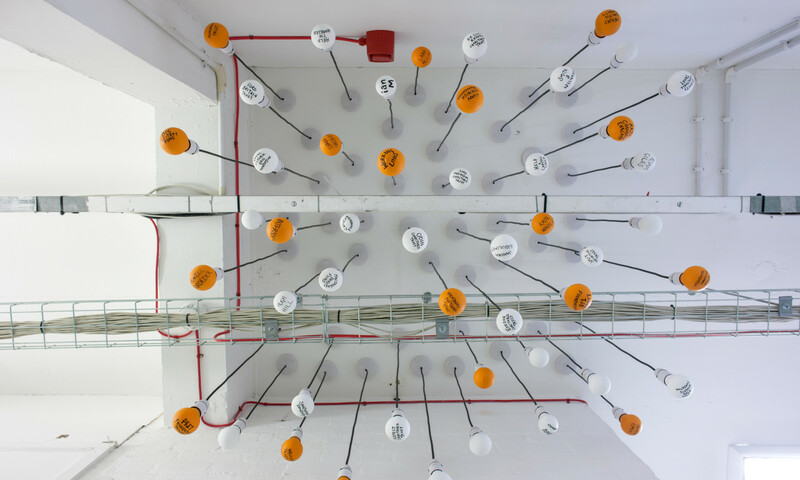 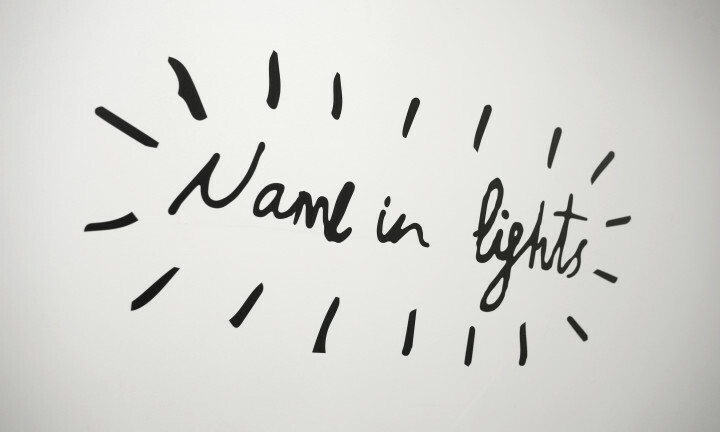 In addition to dressing the space, we were also asked to create something to recognise the charity’s supporters and in keeping with the home/theatre theme, created ‘Name in Lights’: an installation made up of painted light bulbs suspended from the ceiling which acknowledges the names of friends and patrons.